Our highly skilled Vet Tech, works alongside our Farm Vet Team to offer a preventative approach to herd health. This cost effective service aims to provide peace of mind and maximise farm productivity. Performed as young as one day old up to 5/6 weeks old, our disbudding package includes local anaesthetic and NSAID plus preweaning growth rate monitoring. Our service provides assurance that the task is complete prior to stressful periods such as moving or weaning. Our Vet Tech can help with inputting data required for the supermarket contracts – saving you valuable time. Vaccination is a key tool when it comes to protecting your herd’s health. Administration of routine vaccinations and recording data such as batch number, expiry date against ear tag numbers. Most supermarket contracts require mobility scoring to be done every 3 months. Mobility scoring is a very useful tool for identifying and monitoring lameness in cows. Measuring growth rates provides useful information on how well your cattle are doing. Our Vet Tech can provide you with a detailed report. Blood and faecal sampling are important tools when it comes to diagnosis. 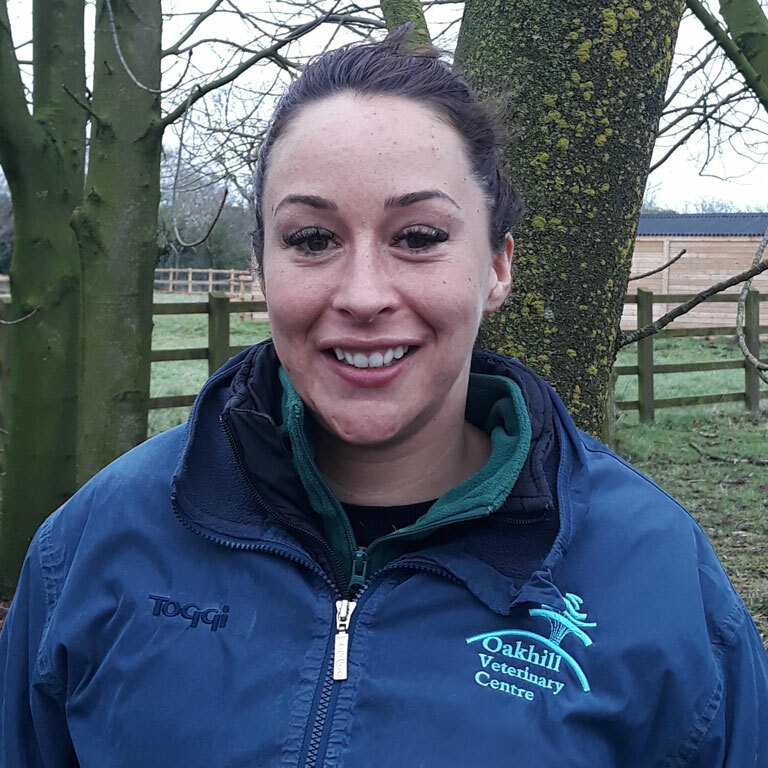 Jane joined Oakhill Farm Vets in 2018 but is no stranger to farming, having grown up helping out on her dad’s dairy and beef farm. Jane works along side our Farm Vet Team to provide a valuable service to our farm clients, running the Calf Club and offering services such as disbudding and mobility scoring. Prior to working for Oakhill, Jane worked as an international show jumping groom, spending 3 years in America and Europe. When Jane isn’t at Oakhill Farm Vets, she looks after horses on film sets, including Game of Thrones and Star Wars.